Peeking at petroglyphs . 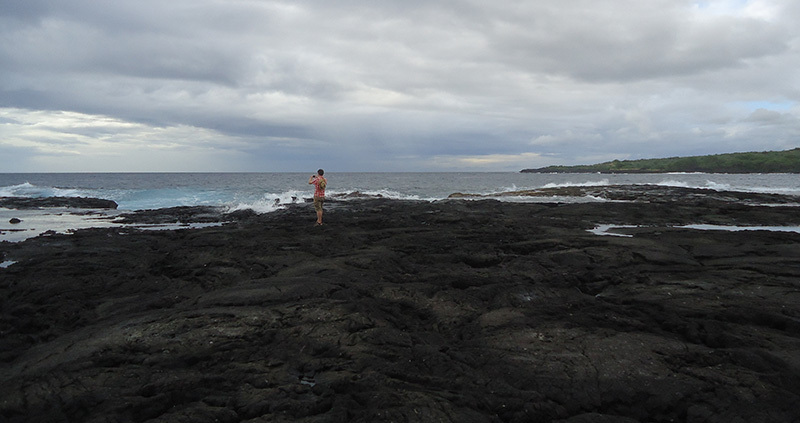 . .
My recent trip to the big island of Hawaii was meant as an escape from the dreary weather that plagues Vancouver in November. Little did I know that I would find so much inspiration there! 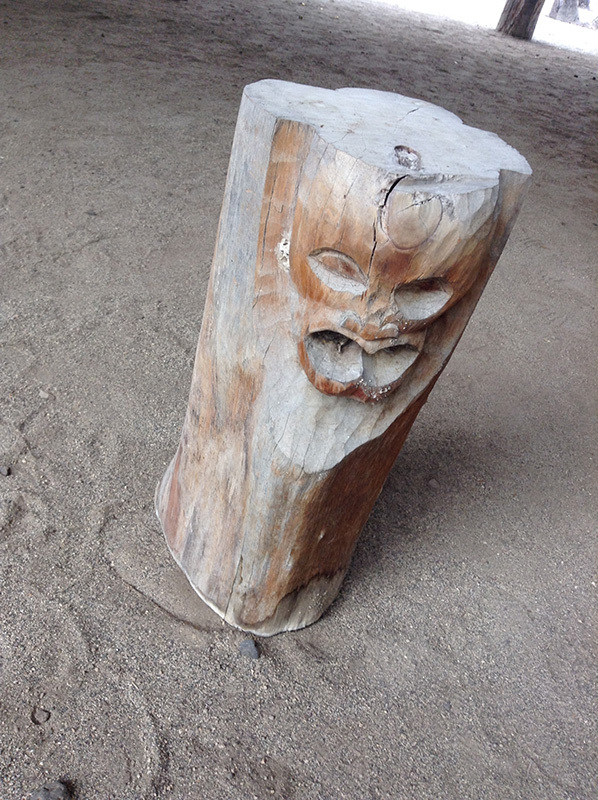 I love the things left behind by ancient and early civilizations, so was excited to find instances of these during my time in Hawaii. 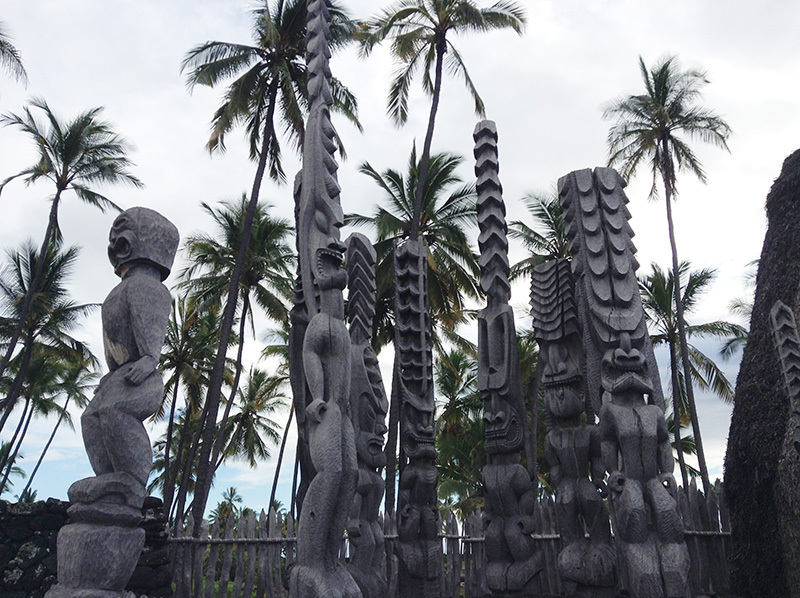 In an earlier post, I talked about my visit to Pu’uhonua o Hōnaunau, the royal grounds. 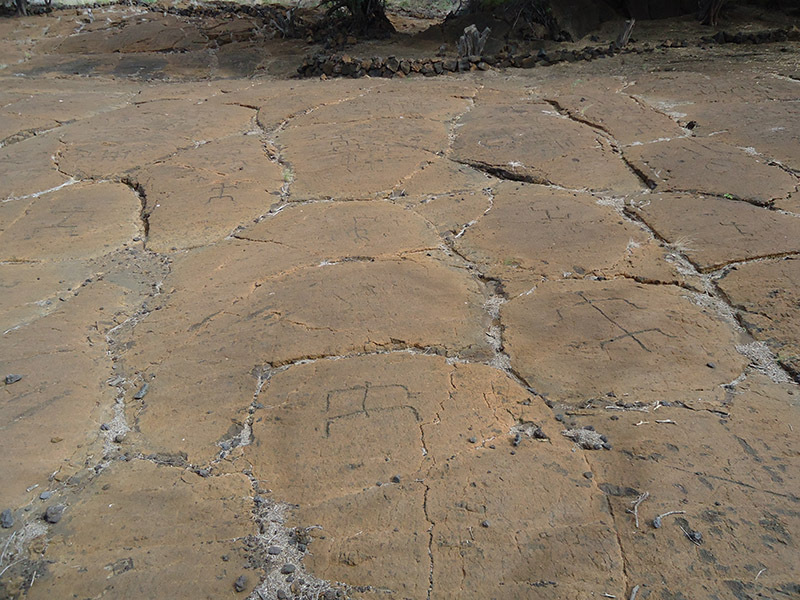 On another day trip, my family and I explored the petroglyphs of Puakō. 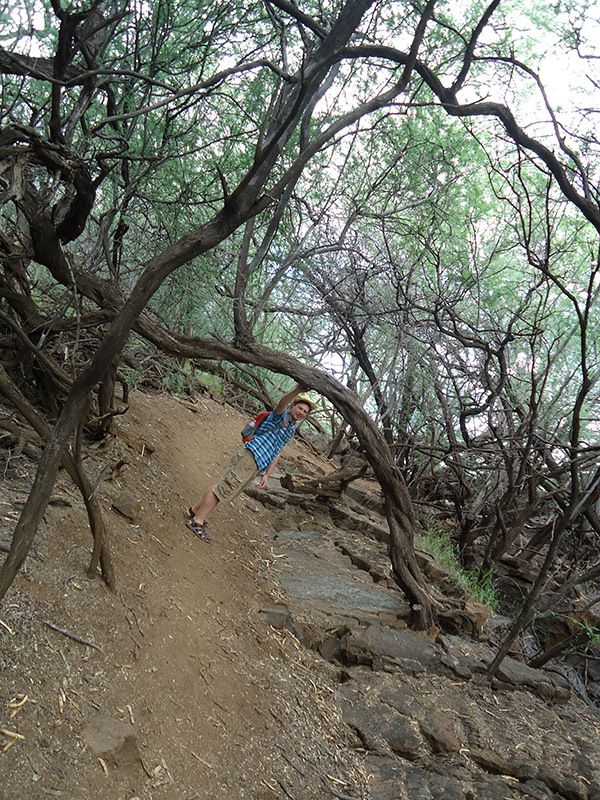 As for me, I fancied myself as entering Jurassic Park! Along this walk, we saw our first petroglyphs, which were carved on individual rocks. 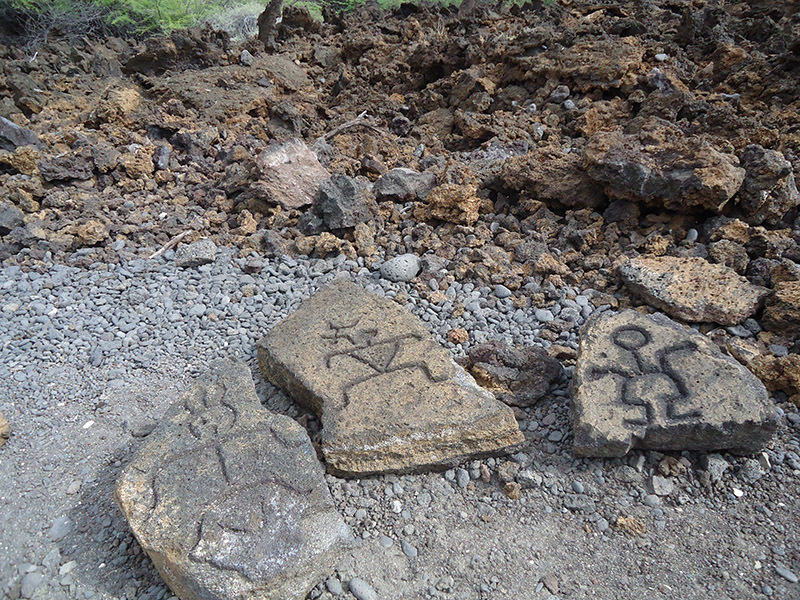 These, as far as I could ascertain, were “modern” petroglyphs. This one of the sea turtle was quite cute. Eventually, we arrived at the main park, where there were countless petroglyphs carved into the vast bed of red rock. 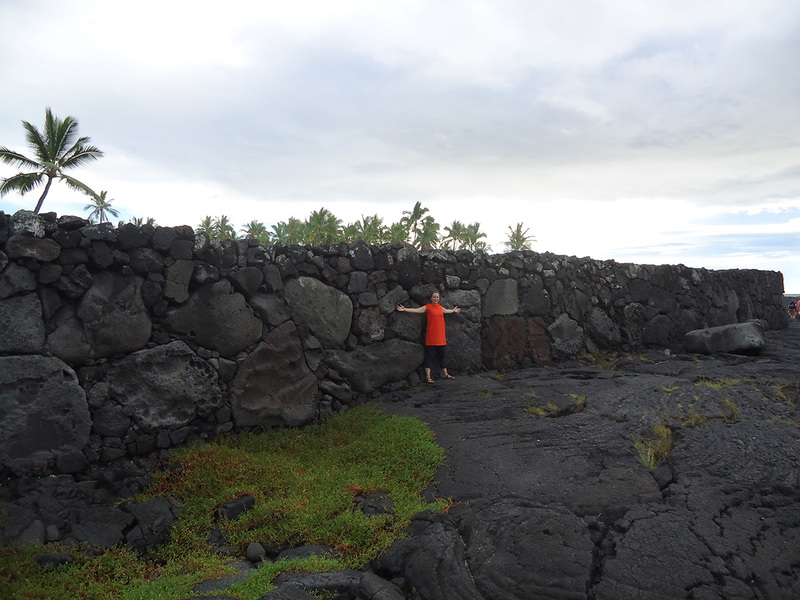 According to the information sign, the ancient Hawaiians had to cross the long plain of hardened black lava flow to reach this area. That must have been quite a long and exhausting trek. Most of the figures are oriented towards the mountain. 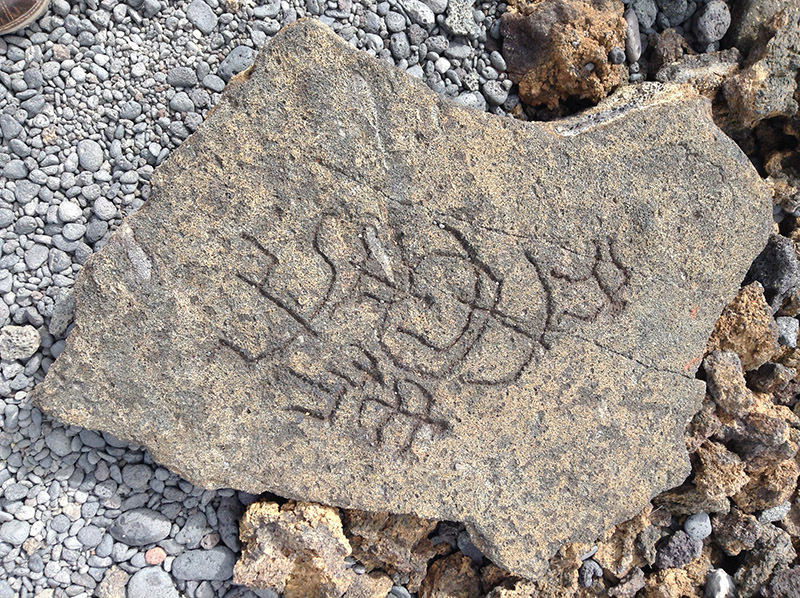 As we circled the site, we came upon many other petroglyphs carved into various rocks or fragments of rocks. I love getting a glimpse at an older world. I’ve seen petroglyphs on Gabriola Island in Canada and hieroglyphics in Egypt, plus many other ancient sites in Europe and Asia. It’s the foundational history of our societies, the same type of foundational history that I try to invest in my own imagined worlds. 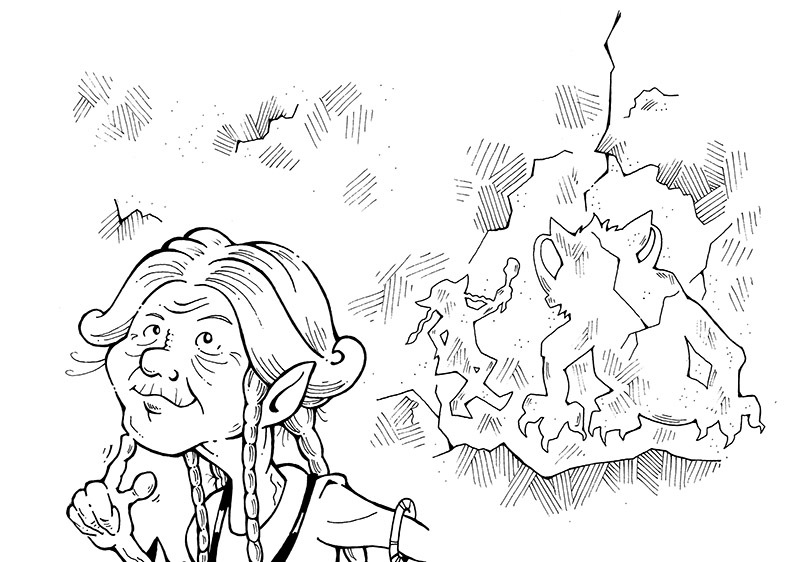 In Kendra Kandlestar and the Door to Unger, for example, there are old carvings in the Elder Stone that play an important role in the story. The old sorceress, Winter Woodsong, introduces Kendra to the carvings at the beginning of the book, but by the time Kendra’s adventure is completed, she has come to view them in a different way. 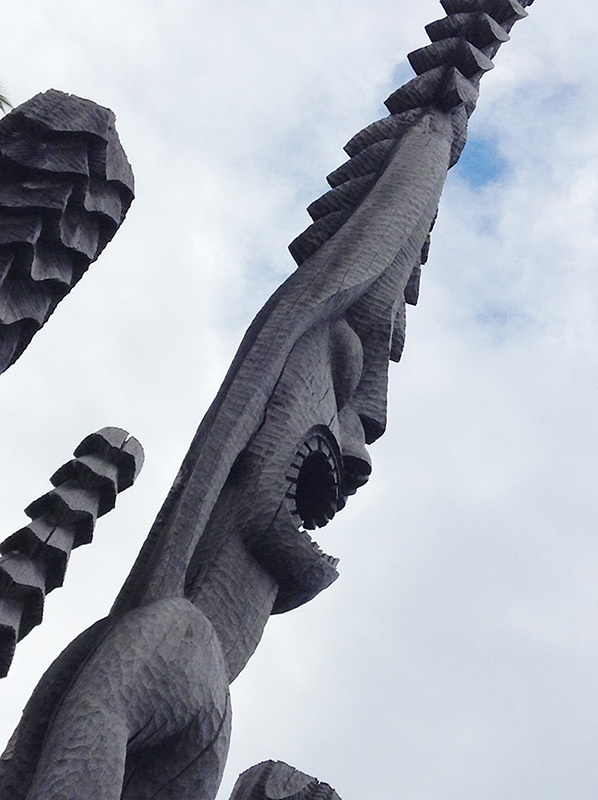 The carvings not only offer a glimpse of the history of Kendra’s people, the Eens, but serve as a symbol of her own personal growth. I’m currently working on a new project, and the trip to Hawaii helped me in some unexpected ways. I’ll be talking more about that in future posts! 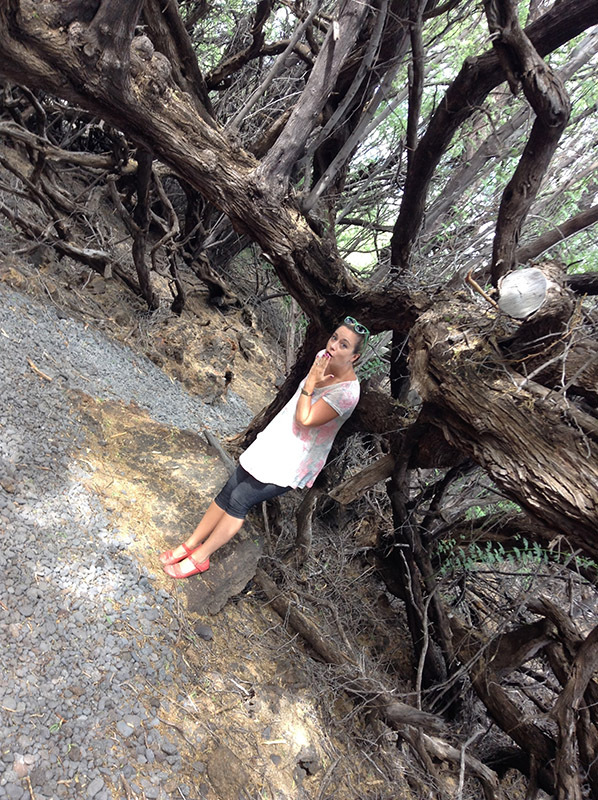 I’m currently vacationing on the big island of Hawaii and have had a lot of fun exploring the local flora and fauna. 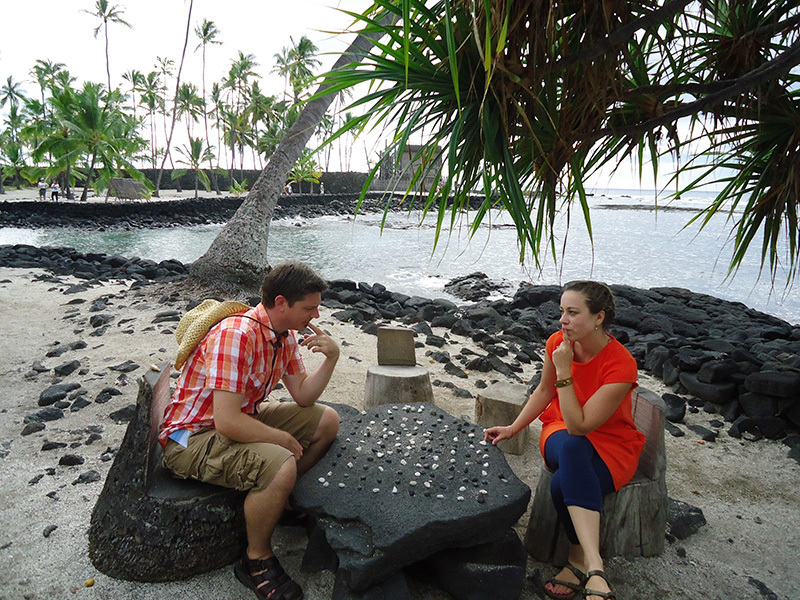 Yesterday, however, I had fun of a different sort by exploring Pu’uhonua o Hōnaunau—the royal grounds. 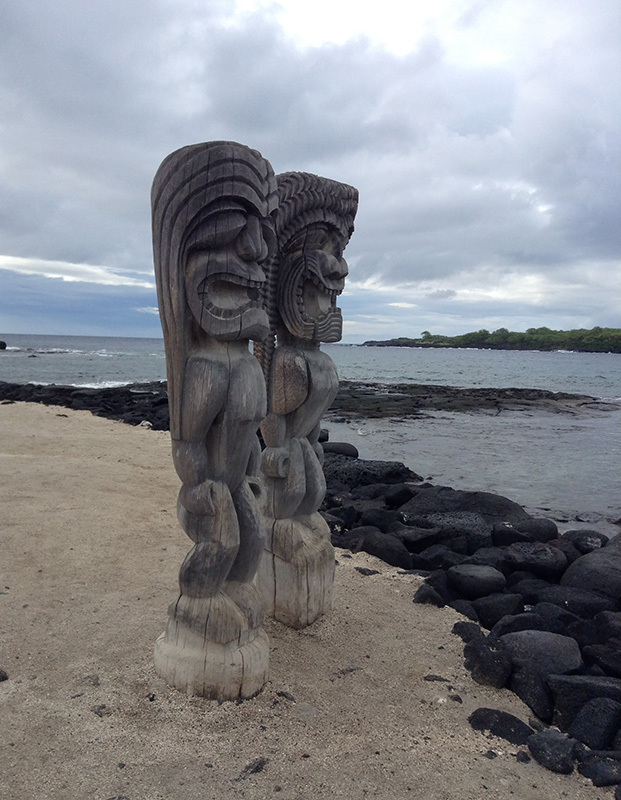 This area rests on the black lava flats of the southern Kona coast and shows some of the aspects of traditional Hawaiian life. 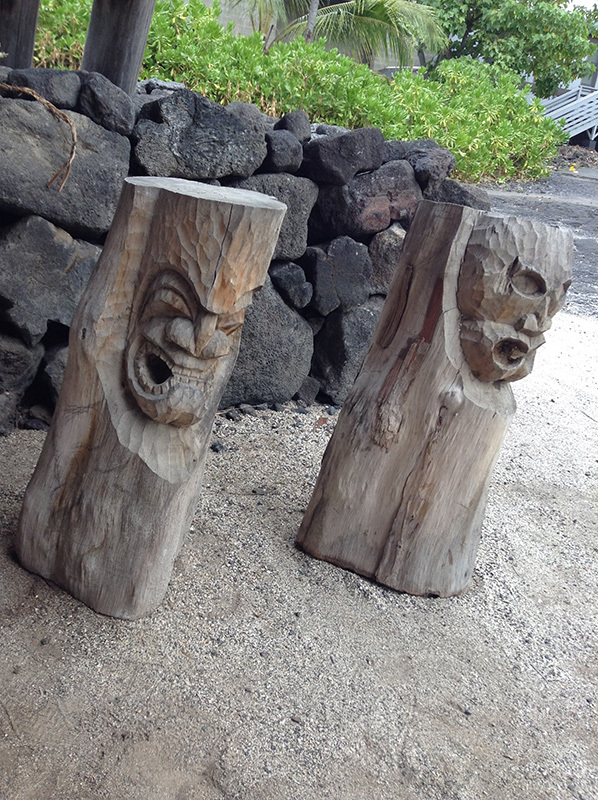 Here are some more of the Ki’i. These ones are situated just outside or within the rebuilt temple. The temple itself once held the bones of the noble chiefs (the ali’i). These are smaller wood carvings I found in one of the thatched structures where you could also see some traditional fishing gear. 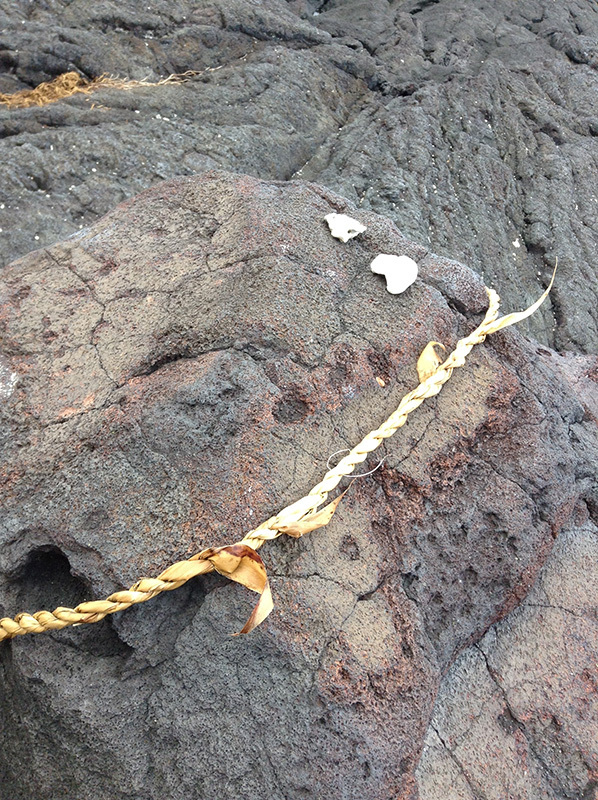 This is a traditional Hawaiian game called Kōnane, set up near the shore. You can see lava beds throughout the site. These fascinating formations have really inspired me for some of my world-building activities. 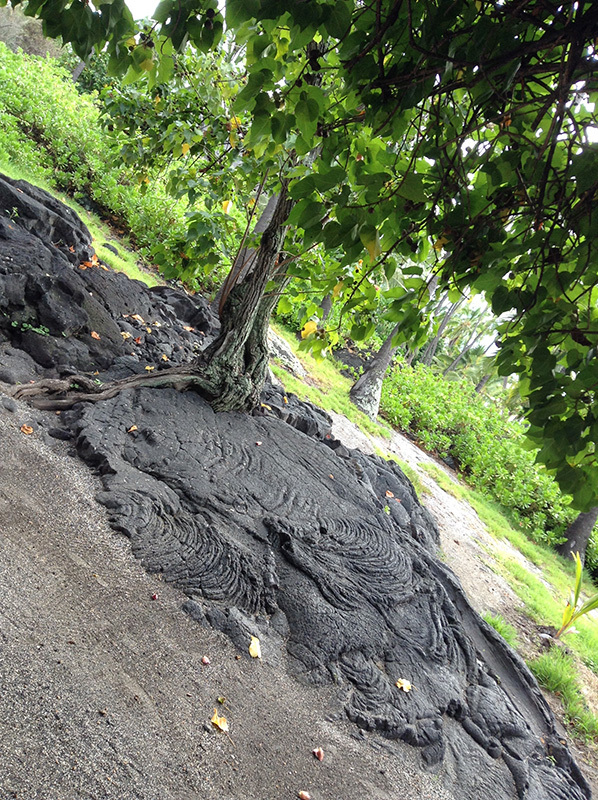 I’ve been taking many detailed pictures of rock patterns and lava shapes. Below you can see the great wall, with the palm trees growing up around it. This wall is ten feet high and up to seventeen feet thick. It was built in 1550 to separate the royal compound from the common folk. The rocks are packed so tightly that no mortar was required. Here’s another, better, view of the wall, stretching towards the sea. This is the Keōya Stone. 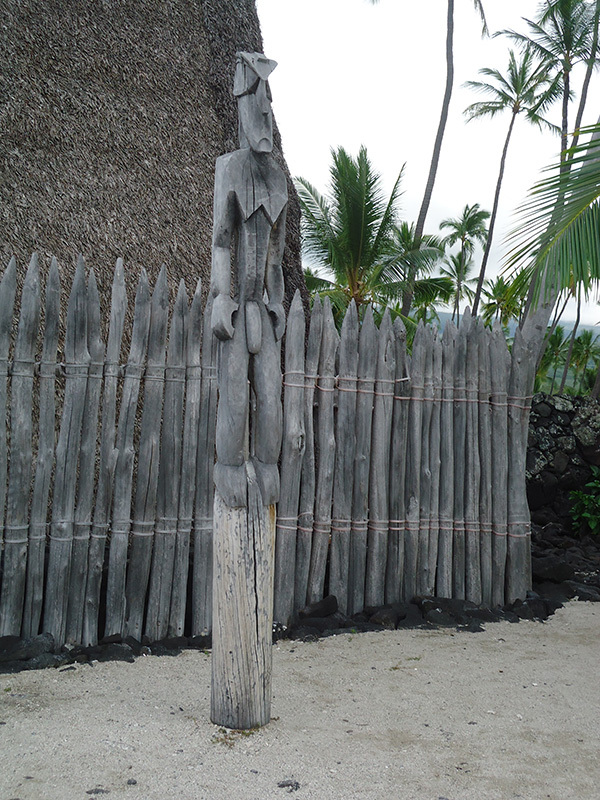 Mark Twain, on a visit to Hawaii, said this is where the high chief of Kona would sit. I was actually quite fascinated by the rope, made of natural grasses. Beyond the great wall, the lava bed stretches out into the crashing waves. The sounds and sights were breathtaking. My wife took this photo as I stood out at the edge, taunting the water to catch me. We have more adventures planned in the coming days . . . which, of course, means more inspirations. Here’s the final part of my virtual studio tour, in which I’m showing the items that I have collected or built over the years, and which serve to offer me daily inspiration. 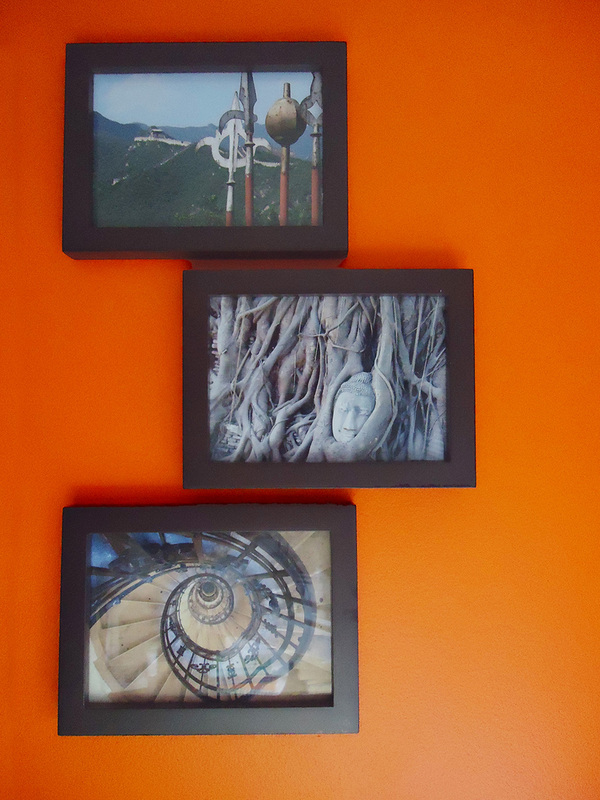 We start off in a corner of artwork and photographs . 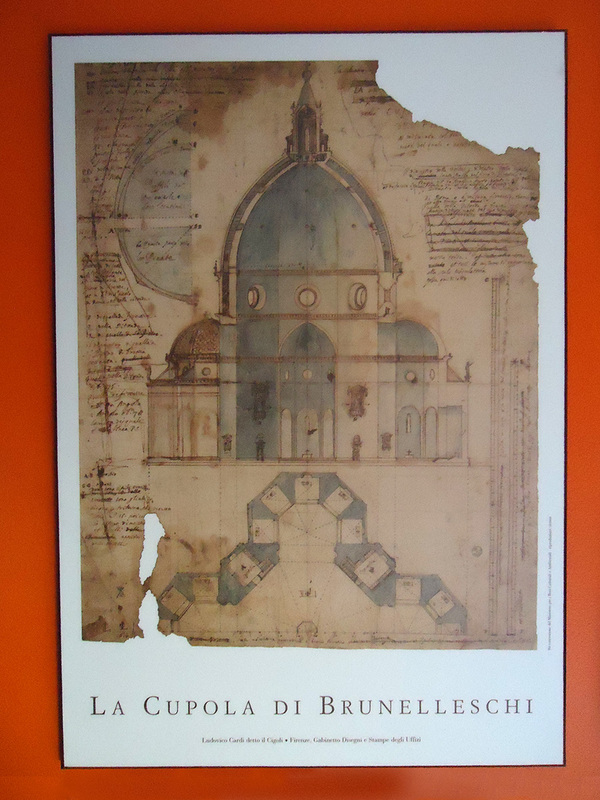 . .
My wife bought this print of a Brunelleschi blueprint for me when we were in Florence, Italy. As a student of art history, it had long been a dream of mine to visit Florence. This is a fitting memento. 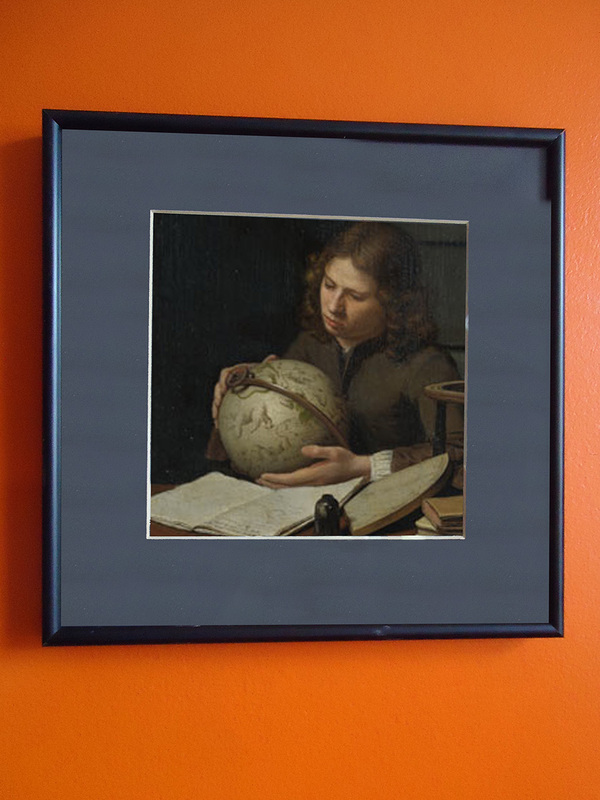 This is a print of one of my favorite paintings: The Young Astronomer, by Oliver Van Deuren. I bought it at the National Gallery in London a few years ago. I just love the pensive look on the figure. I think this scene reminds me of how I feel during a moment of study and discovery. 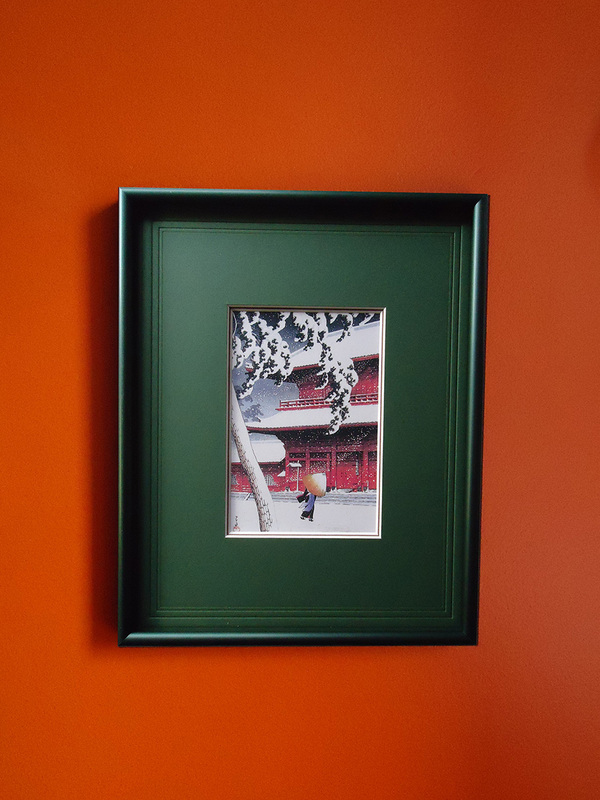 This is a print of a painting done in 1925 by Hasui Kawase. I loved this scene the moment I saw it. I bought the print in the Asakusa outdoor market when I visited Tokyo in the winter of 2014. These are three of my favorite photos from my travels: ceremonial weapons on the Great Wall of China, the stone head of a buddha statue cradled in the roots of a bodhi tree at Ayatthaya, Thailand, and a spiraling staircase at St. Stephens’ Basilica in Budapest, Hungary. 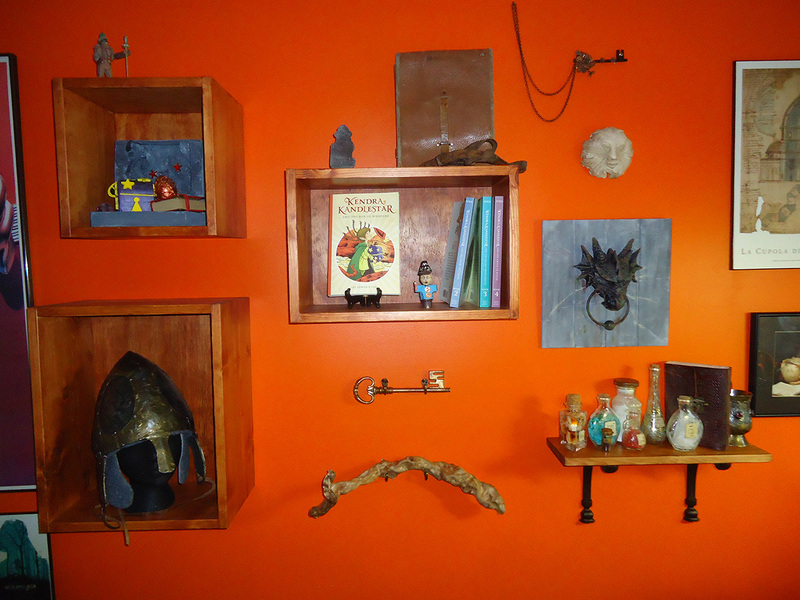 I hung these keys in the far corner of the orange section. 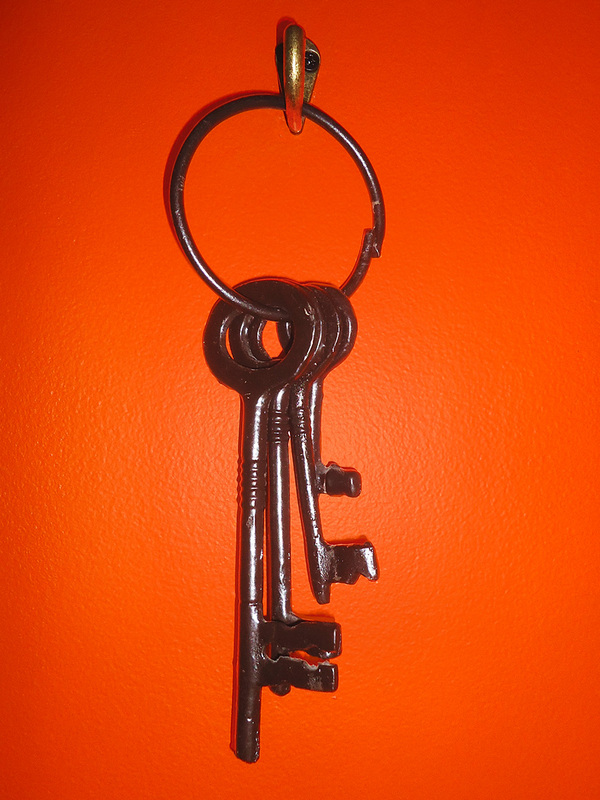 First, because there was a space to fill and, second, well, you can never have enough keys to inspire you. 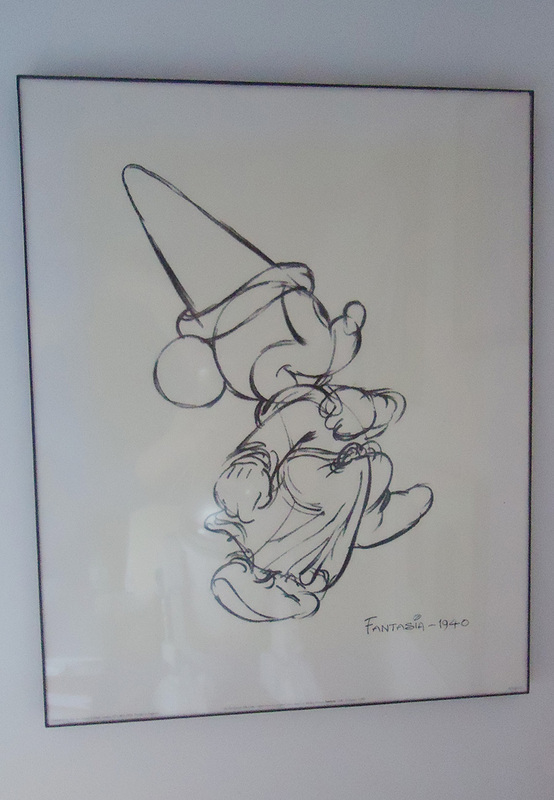 This is a print of a sketch from the famous “Sorcerer’s Apprentice” scene in Fantasia. That scene has long been one of my favorite pieces of animation. 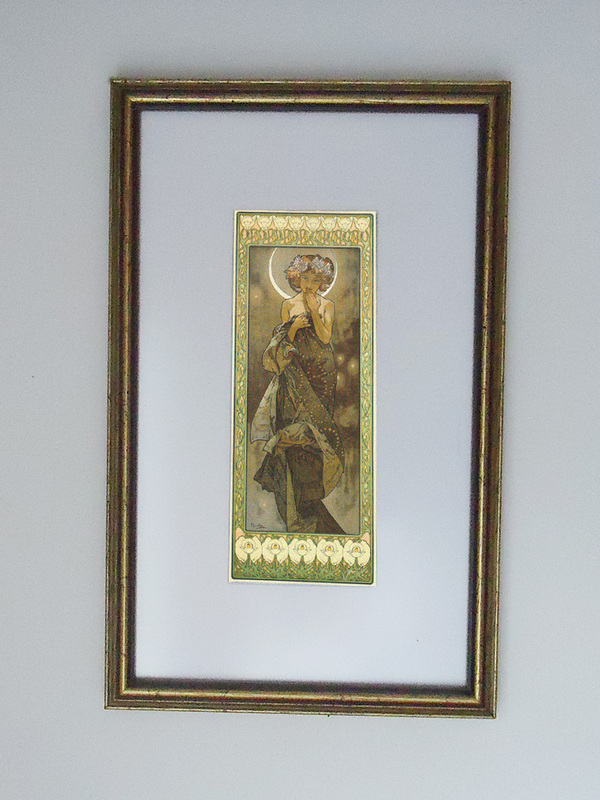 This is a print of a painting by the Czech art deco artist, Alfonso Mucha. I picked it up on a visit to an art gallery in Prague. I’ve always been a huge fan of art deco art and illustration. 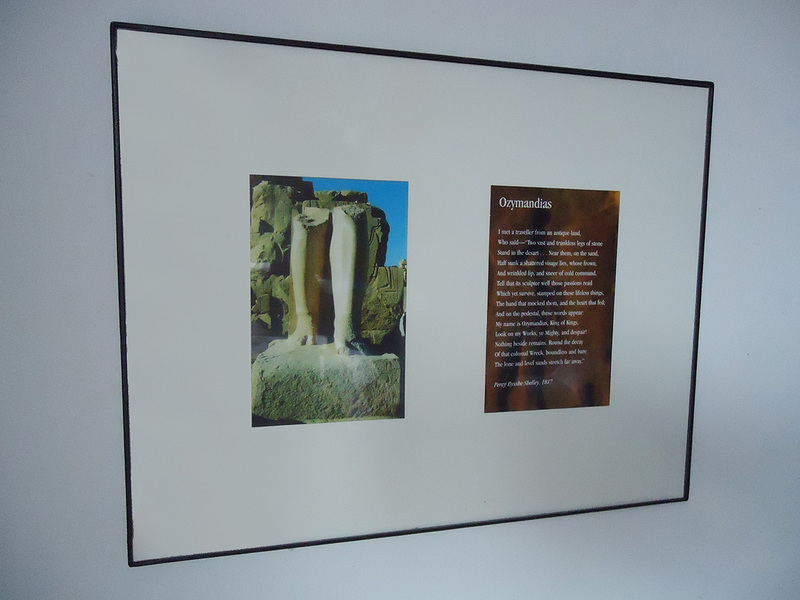 This frame combines a picture I took at Luxor in Egypt with the famous poem by Percy Bysshe Shelley called Ozymandias. It has always been one of my favorite poems, and when I saw this truncated statue, I was reminded of it. 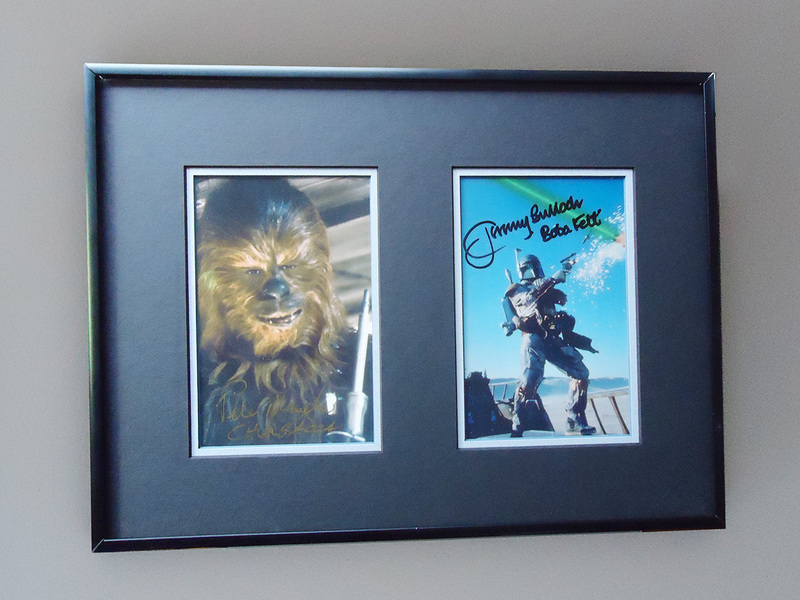 In this frame are a pair of postcards signed by the actors who played Chewbacca and Boba Fett (I met both in person). 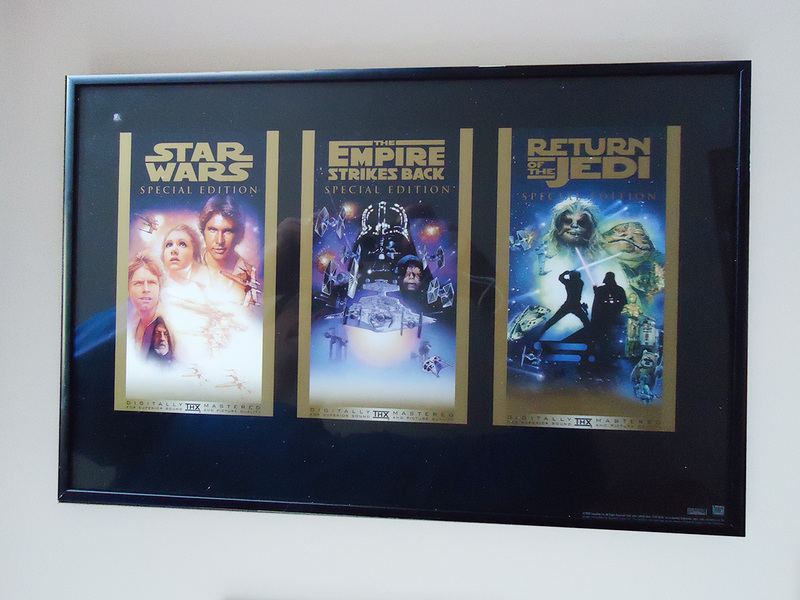 This frame features the poster series of the re-release of the original trilogy. I can’t remember how I came into possession of this. 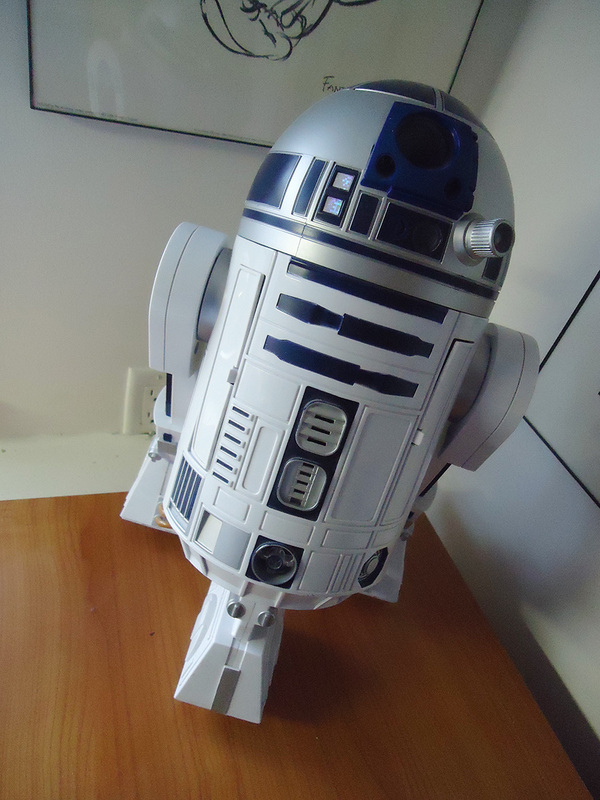 My fully-functioning voice-controlled R2D2 droid stands on guard in the white corner of my studio. He actually has a security alarm as part of his features, so intruders beware! 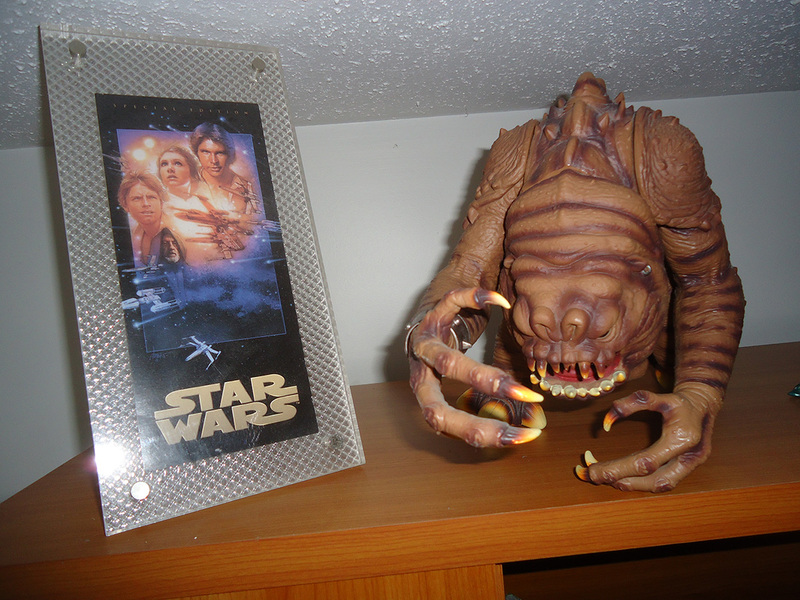 On the shelf near the white corner of my studio is a ticket I was sent from Lucasfilm for the re-release of Star Wars in 1997, standing proudly next to my Rancor action figure. 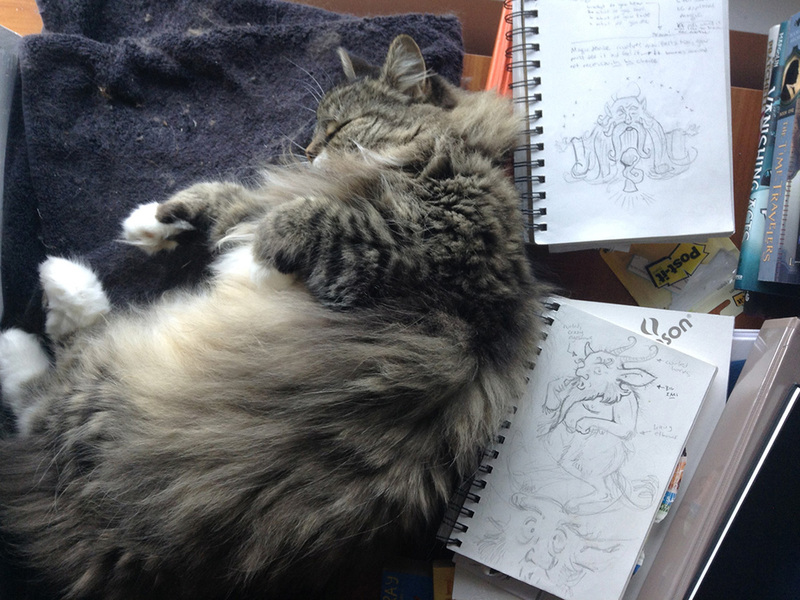 Well, he’s more or less a permanent fixture in my studio, so it seems apt to conclude the tour with a photo of him in his usual position! After months of working on a project to revitalize my writing studio, I’m now posting some photos of the finished space. Because there’s a lot of little details, I decided to break the tour into parts . . . so here’s Part 2! 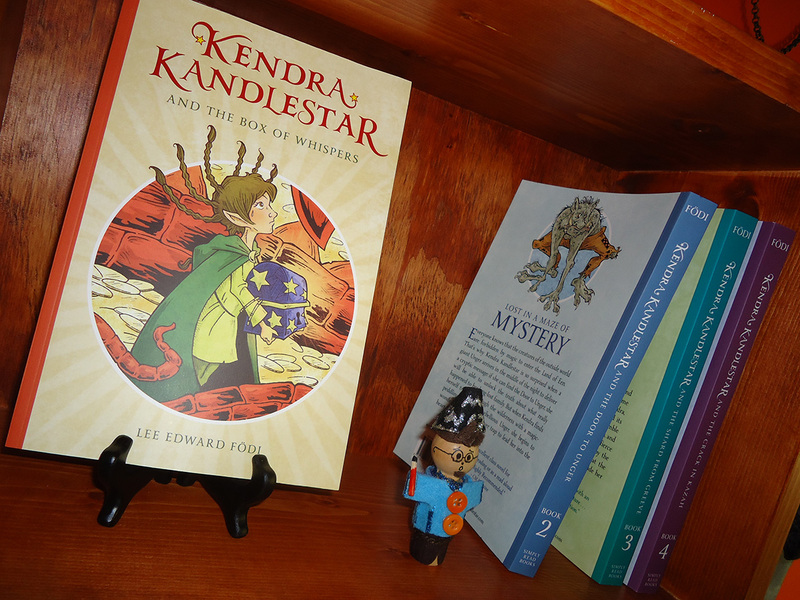 This little figure sits on the top of my Kendra Kandlestar box shelf. 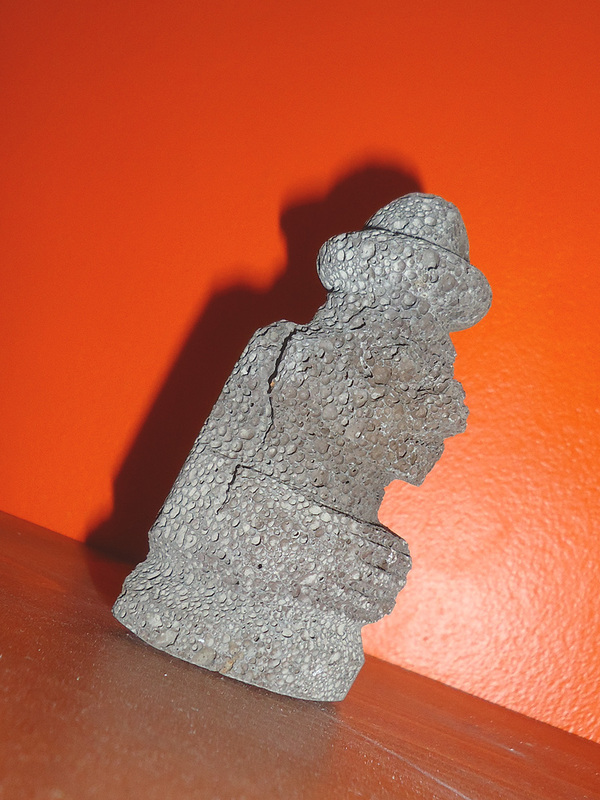 It is a miniature version of a dol hareubang (“stone grandfather”), which I picked up during a stay on Jeju Island, Korea. 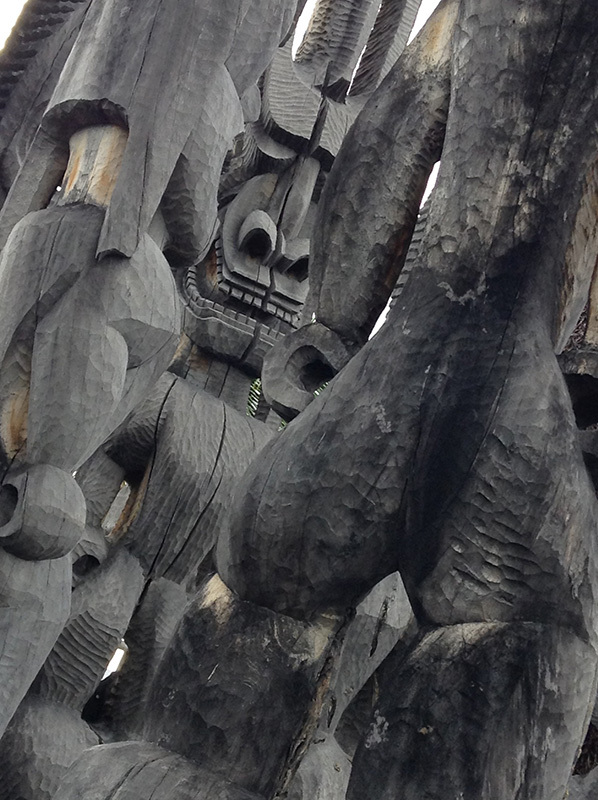 You can see many large versions of these delightful figures on the island. They are meant to ward of malevolent spirits. The regular-sized ones come to about my chest; I would have loved to bring one of those home, but had to settle for this miniature version, which has been fashioned from the island’s abundance of lava rock. 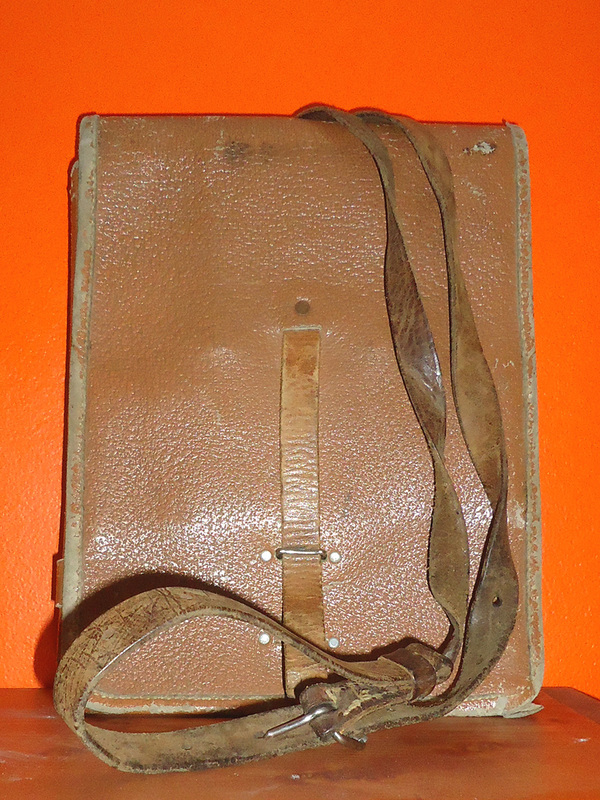 This is an old leather map case from World War II. I picked it up for just a few dollars in Budapest, Hungary, during a visit to the underground hospital museum there. The map case has many neat pouches and compartments and reminds me of something Indiana Jones might wear. It sits on the shelf next to my dol hareubang. 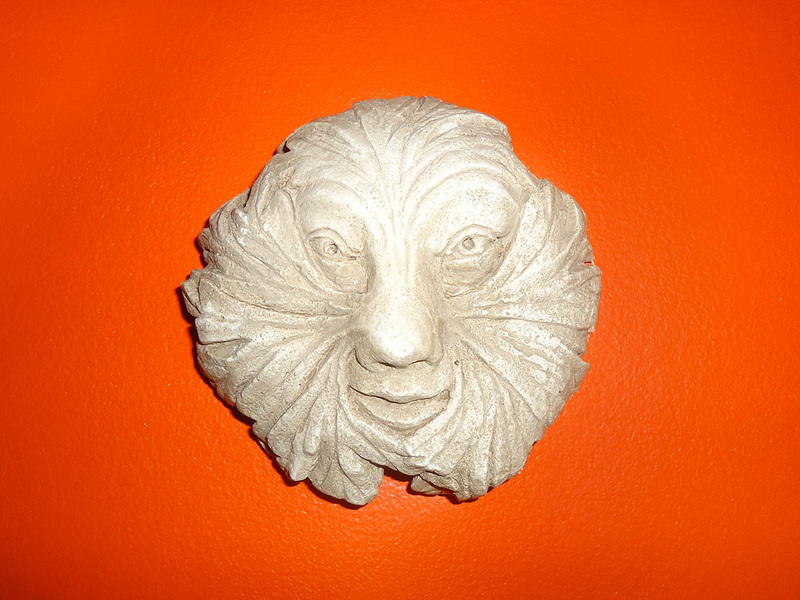 This is a reproduction of a “green man” relief, which I bought on a visit to Yorkminster in England. The green man is a common symbol in Celtic mythology and can be found throughout Northern European architecture. I’ve always thought of the green man as a sort of gargoyle—but a friendly one. 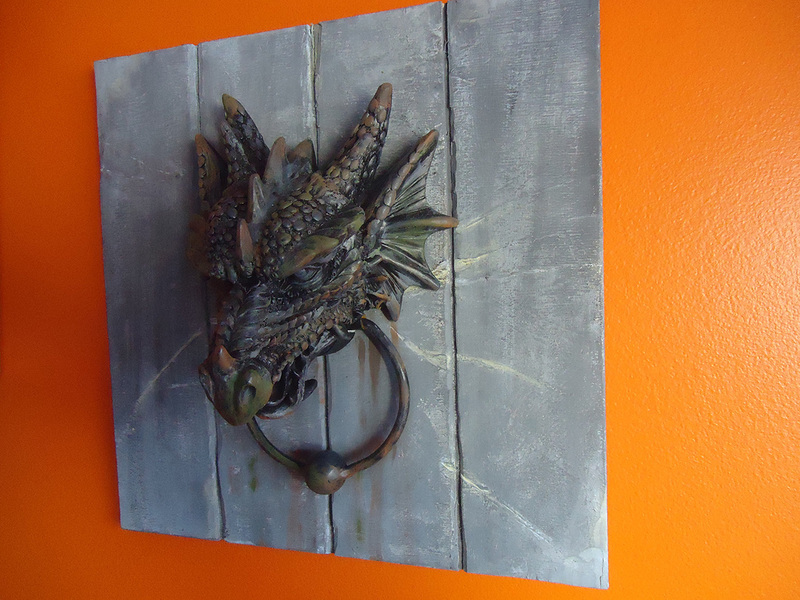 I bought this dragon door knocker in Edinburgh, Scotland, then mounted it on a piece of wood. I’m obsessed with doors (and all the parts that go with them), and have a lot of them in my children’s books. I have a few keys decorating my studio and so really wanted at least one door knocker. I had trouble deciding how to display or mount it, and finally decided to place it on this panel. I take a lot of these items to the creative writing workshops I teach at schools and conferences, and have always thought it was a shame that they spent most of their time in a box, waiting to be shown. Now, I can keep my favorite items on permanent display. 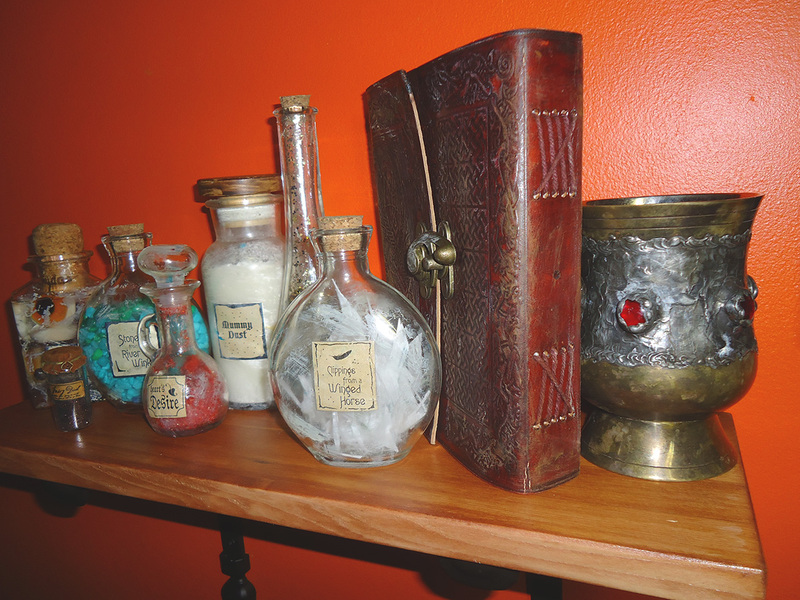 These are the kinds of things you might find in the Wizard Griffinskitch’s library in my Kendra Kandlestar books. An added bonus is that the goblin eyes match the color of the background wall. For months I’ve been working on an ambitious project to “revitalize” my studio space. I’ve been showing glimpses of the work along the way, but now the project is complete, and I can post photos of the finished space. So, if you are so inclined . . . take this first part of the tour. (More to come in the days ahead). 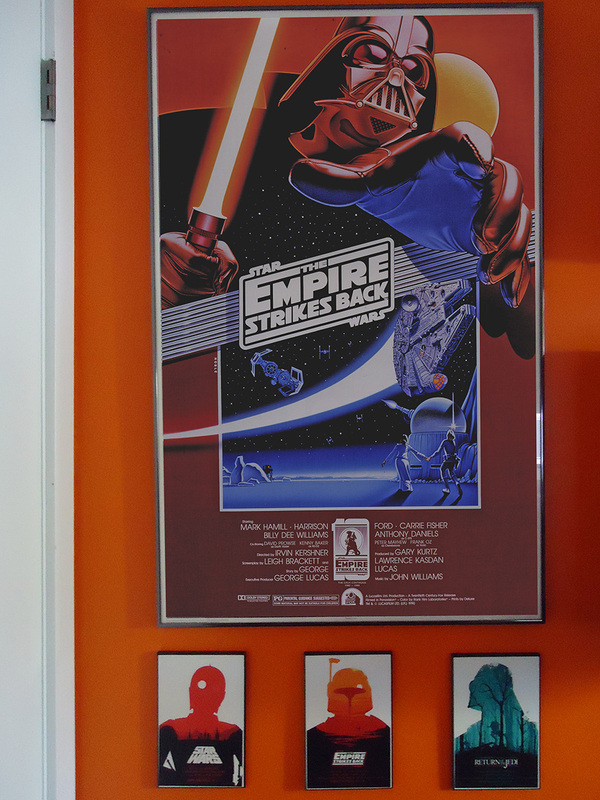 I actually have TWO Star Wars corners, but this is the first one, in the orange section of the studio. It features the 10th anniversary poster of The Empire Strikes Back (my favorite Star Wars film), plus some cool mini-posters of the original trilogy films featuring designs by artist Olly Moss. 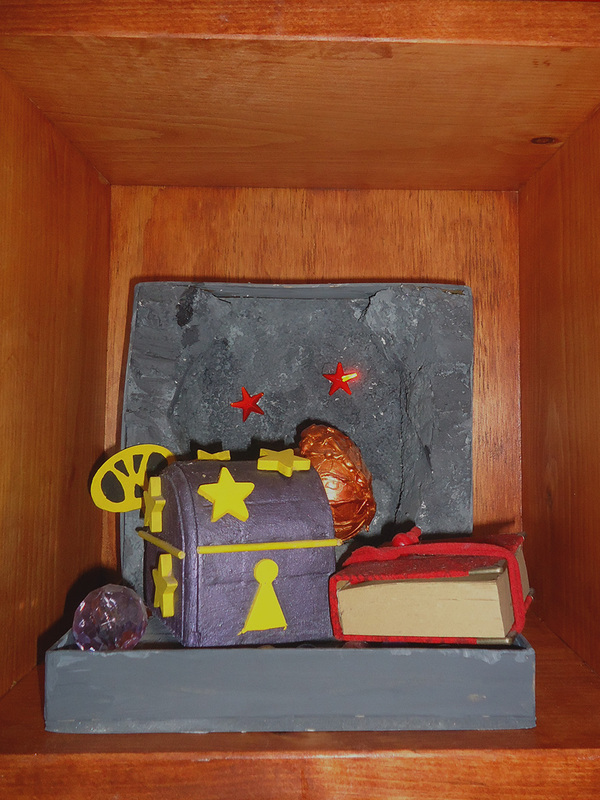 This box shelf displays a small diorama I built of the treasure chamber in the Elder Stone, from Kendra Kandlestar and the Box of Whispers. You can see the Box of Whispers, as well as the dragon egg that eventually hatched and caused the poor Eens so many problems. 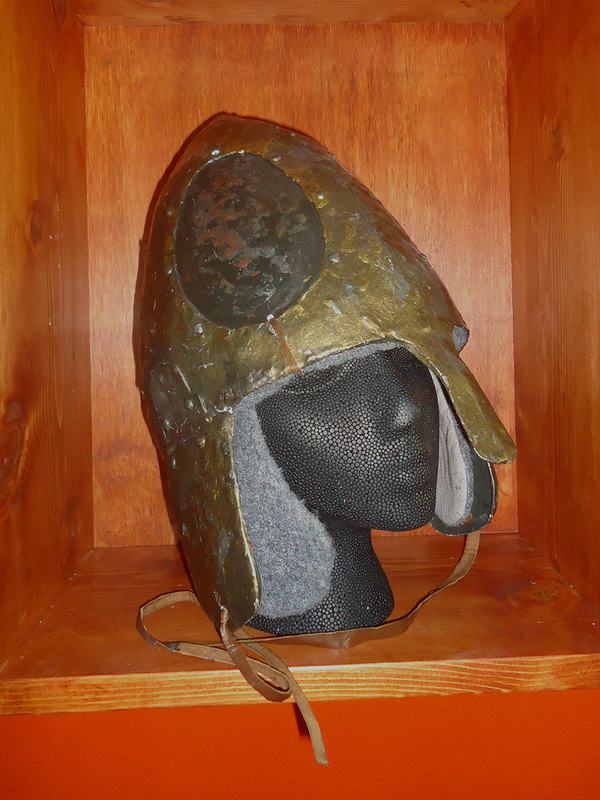 This is a helmet that I bought at a prop sale after a local theatre company closed its door. The helmet is very well constructed and, I believe, was used in a production of Macbeth. When it’s not on my shelf, it’s on my head (for Halloween or other inspirational purposes). 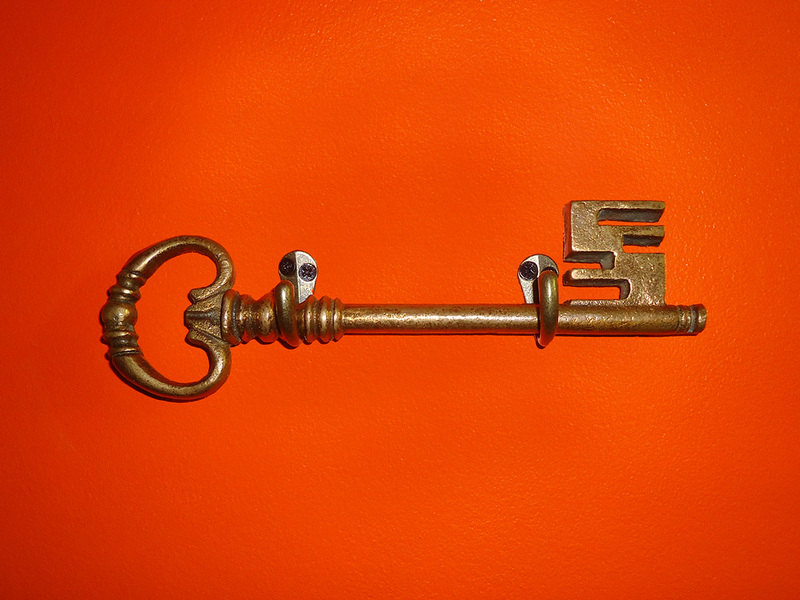 This is a very large and heavy key that I plucked from my editor’s treasure trove. I’m obsessed with old keys, so it’s best not to leave them in my presence unattended. 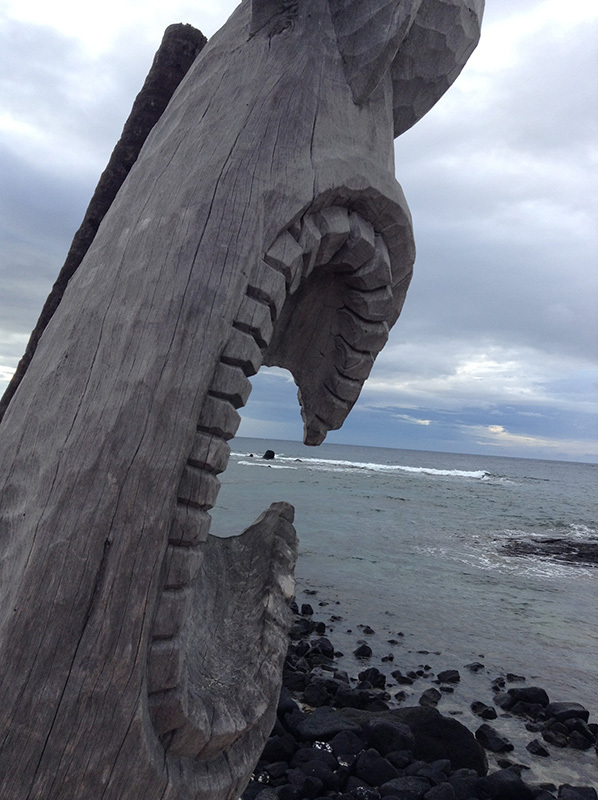 This is an interesting piece of wood—look closely, and you will glimpse the stones naturally embedded within its twisted shape. 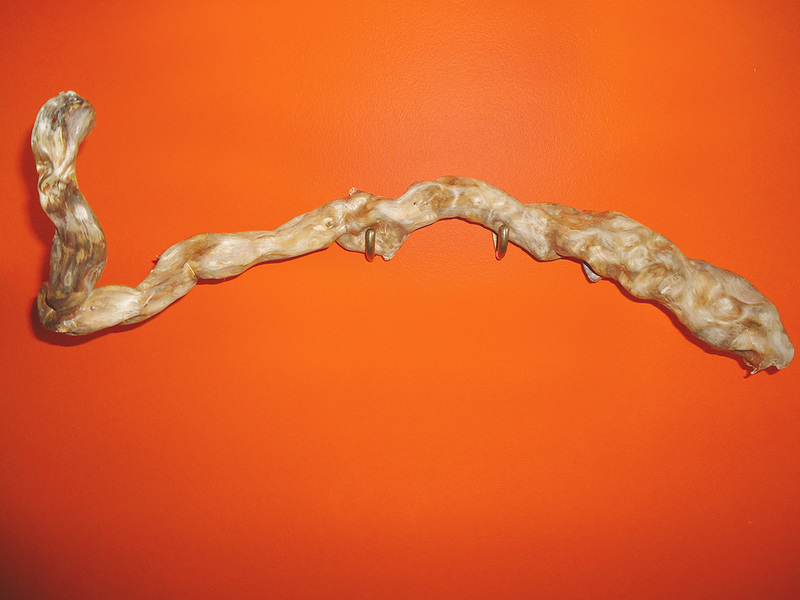 My brother found this piece of driftwood on a riverbank in the BC wilderness and passed it on to me, telling me that it looked like something magical, something you could find in “one of my wizard books.” He wasn’t wrong; this piece has served as inspiration for Eenwood, the magical staffs used in my Kendra Kandlestar series. Stay tuned for Part 2 of the tour! 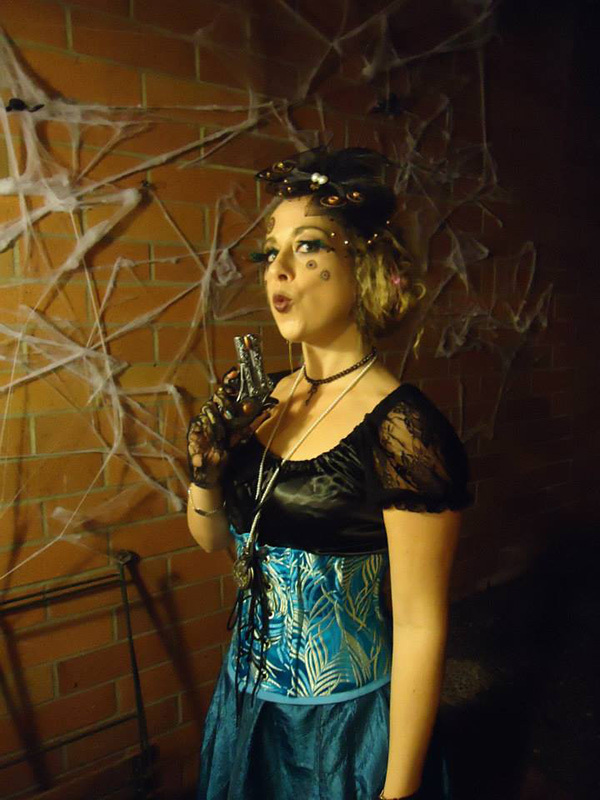 Halloween is one of my favorite times of years. After all, a significant part of my writing process involves building things, so October turns into a sort of two-for-one deal. The only problem is that October is also usually my busiest times of years. This October, I toured schools for a literacy organization, did an outreach program at school, spoke at the Vancouver Writers’ Fest, and then went to the Surrey International Writers’ Conference to meet with some agents and editors—all in the two weeks leading up to Halloween. Which is all to say that I crammed my costume and model building into an intensive three-day period leading up to Halloween. We had bought my wife a very cool steampunk costume earlier this year, so I decided I would match her outfit by going as a steampunk pirate. 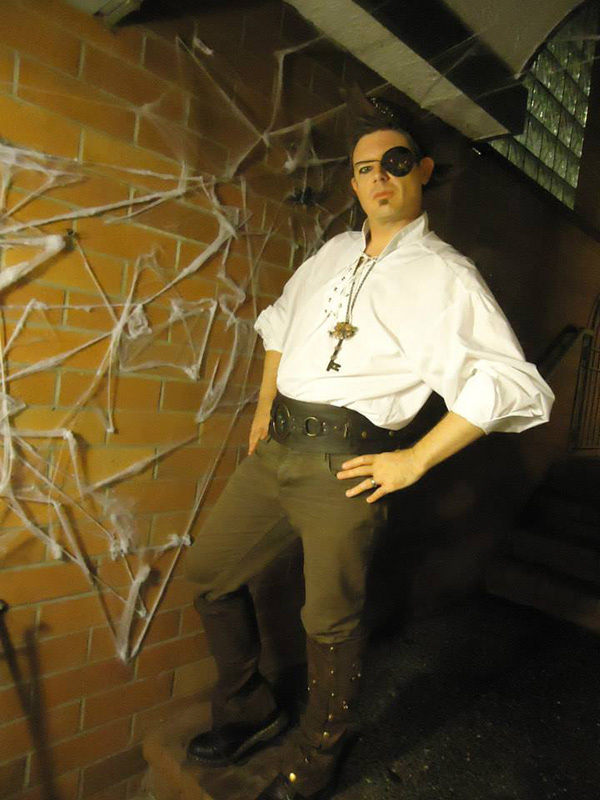 This involved buying some clothes (I went to a very cool store in Vancouver called Venus and Mars) and then building and modifying a few items, such as an eye patch, hat, belt, and key. The hat was very tricky, mostly because it involved sewing (which is NOT my strength). Oh, and here’s the photos of Marcie and I in our final steampunk costumes.